Rob Kominiarek, D.O., is a board certified Fellow of the American College of Osteopathic Family Physicians and a Fellows Crest Award Winner with advanced training in Age Management Medicine and Hormone Optimization. 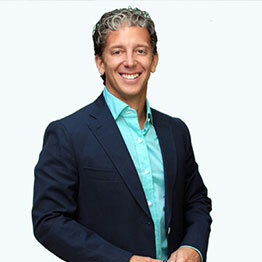 He is president and medical director of ReNue Health®. Dr. Rob is a graduate of the Nova-Southeastern University, College of Osteopathic Medicine in Fort Lauderdale, FL. He completed his residency training at Ohio University, Grandview Hospital and Medical Center in Dayton, OH and is an Assistant Clinical Professor at Ohio University. He is a bestselling author and executive producer of “Dr. Rob In the House,” his weekly health segment on NBC2 in Dayton, OH. Dr. Rob is a veteran of the United States Army with a passion directed towards overall health of the mind and body thru proper nutritional habits, regular exercise, appropriate supplementation, and the intelligent optimization of hormones. Dr. Rob is a dedicated father who believes in practicing what he preaches, and as such lives a lifestyle dedicated towards healthy living and regular exercise.